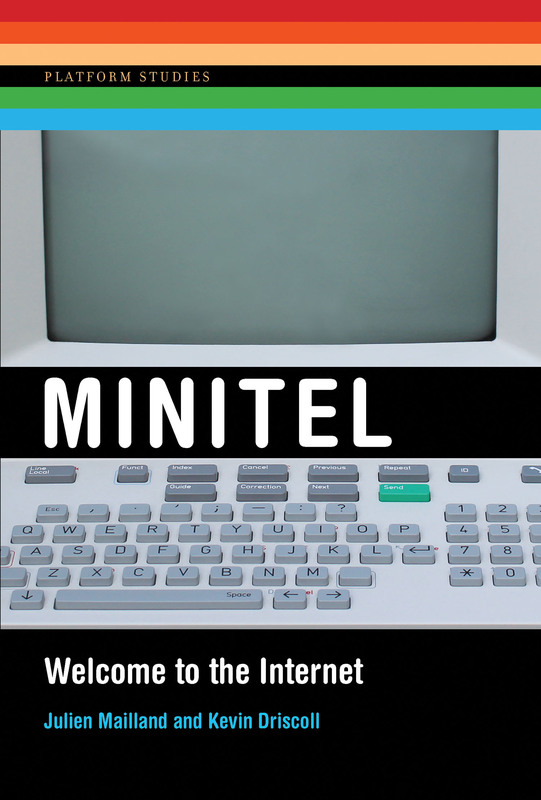 Minitel: Welcome to the Internet is an exploration of the technology, culture, and policy that sustained the world's first mass-scale online system for more than thirty years. As today's internet is broken up into an archipelago of walled gardens, Minitel offers compelling counter-example of a platform that balanced private innovation with the public interest. The book was published in June 2017 by The MIT Press in the Platform Studies series. Hardcover and eBook editions are available in many libraries, indie bookstores, and massive online marketplaces. "This book should be required reading for any policy wonk, digital historian, captain of a digital industry, and student in the computer sciences. The future of the Internet and the Web indeed may be hidden in plain view in the delicious history of Minitel." -- Edward J. Valauskas, First Monday. Pour une historie alternative de l’autoroute de l’information. Ein System, das vor dem Internet wie das Internet war, aber anders und französisch. (Ce n’est pas rien. ), Karsten Schuldt, LIBREAS, 19 September 2017. Book Review of Minitel: Welcome to the Internet, Edward J. Valauskas, First Monday, 4 September 2017. Als das Web noch Französisch sprach: „Minitel – Welcome to the Internet“, Ansgar Warner, e-book-news, 29 June 2017. Minitel: War das französische BTX-Pendant ein Vorbild für den App Store?, Ansgar Warner, mobilbranche.de, 25 July 2017.